Drinking Alcohol can be a real big problem sometimes but drunk people take drinking as a means to forget all their problems. They make fun of the people who advise them to stop drinking and sometimes utter these funny drinking quotes that will make anybody laugh for sure. You know a drunk man can be really fun to watch; his actions, drama and all the hilarious things he does is a must watch for all the non-drinkers. If you have a friend who gets drunk occasionally and goes out of control after drinking, then you must know what we are talking about, don’t you? Moreover, handling your friend and his funny drinking quotes can be tough sometimes. So, here we present to you some of the best and funny drinking quotes just to refresh your memories. Make sure to laugh hard after reading these quotes. 1. 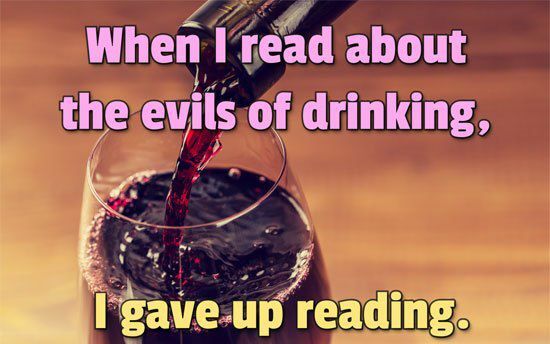 When I read about the evils of drinking, I gave up reading. 2. 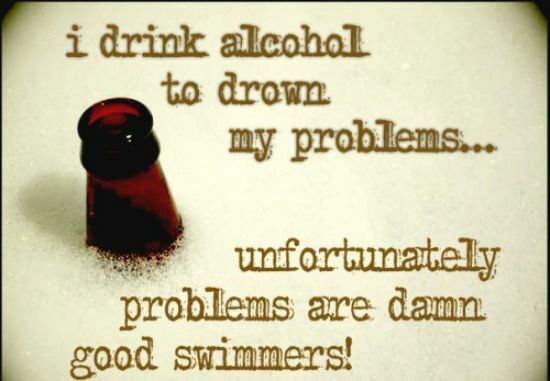 I drink alcohol to drown my problems… unfortunately, problems are damn good swimmers! 3. 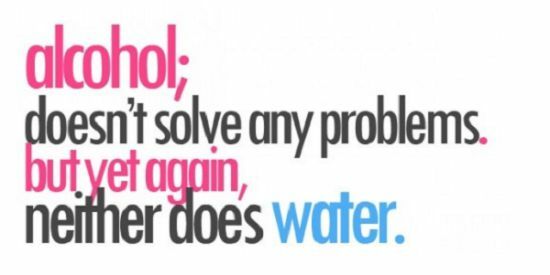 Alcohol; doesn’t solve any problems. But yet again, neither does water. 4. If you can’t be happy, at least you can be drunk. 5. 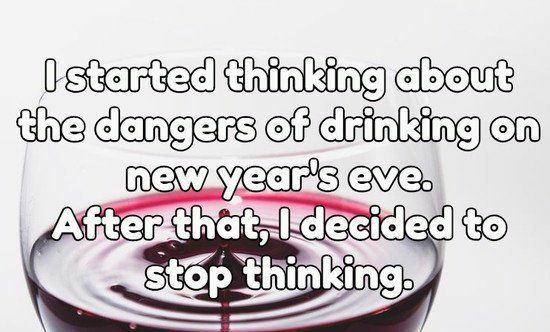 I started thinking about the dangers of drinking on New Year’s eve. After that, I decided to stop thinking. 6. 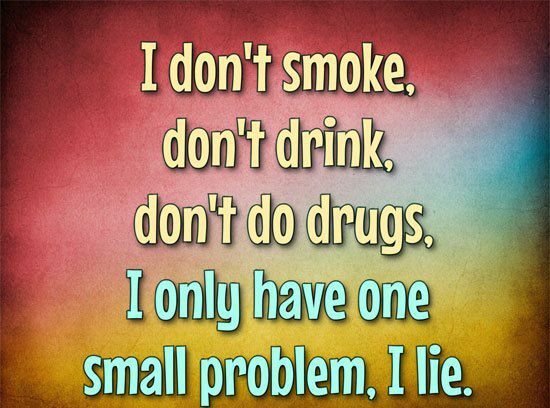 I don’t smoke, don’t drink, don’t do drugs, I only have one small problem, I lie. 7. 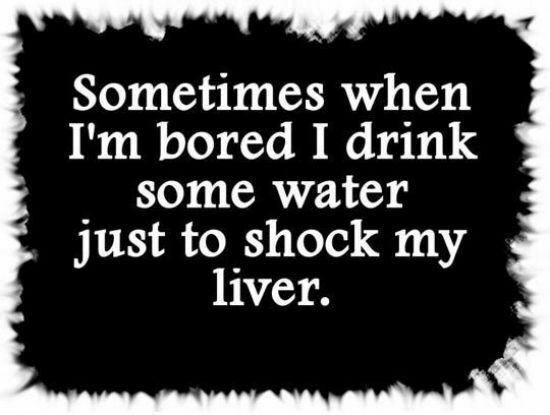 Sometimes when I’m bored I drink some water just to shock my liver. 8. Everyone needs to believe in something. I believe I’ll have another beer. 9. 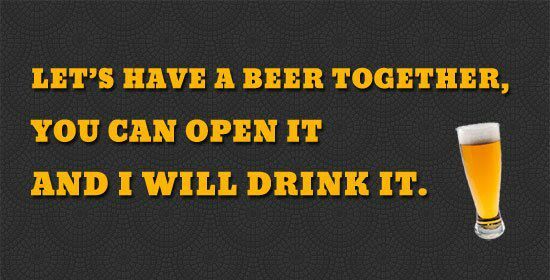 Let’s have a beer together, you can open it and I will drink it. 10. 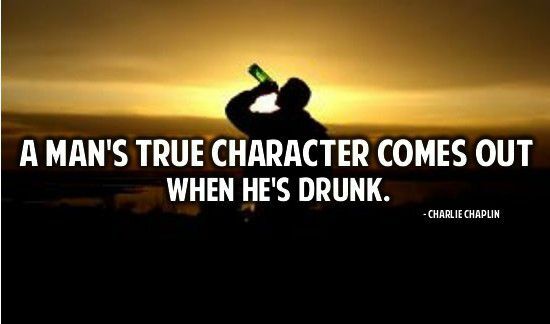 A man’s true character comes out when he’s drunk. Don’t miss: 10 Funny Drunk People That Prove Drinking Is Bad & Dangerous. 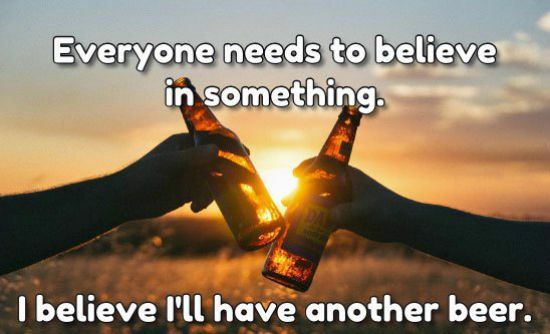 Also, let us know if you liked these funny drinking quotes and please share these quotes with your alcoholic friends so that they can laugh hard too.